If anyone knows how to make some beautiful scales, it's Max. Very nice, indeed. (01-12-2015, 08:10 PM)evnpar Wrote: If anyone knows how to make some beautiful scales, it's Max. Very nice, indeed. Thats nicely done, very elegant, congrats on your purchase. (01-12-2015, 08:51 PM)Dino Wrote: Thats nicely done, very elegant, congrats on your purchase. A big improvement and as expected from Max top quality work and edge! Very elegant scales, not overdone! (01-13-2015, 07:43 AM)geezer Wrote: Very elegant scales, not overdone! (01-13-2015, 09:33 AM)Johnny Wrote: Looking good Wallace. Wow, Wallace! 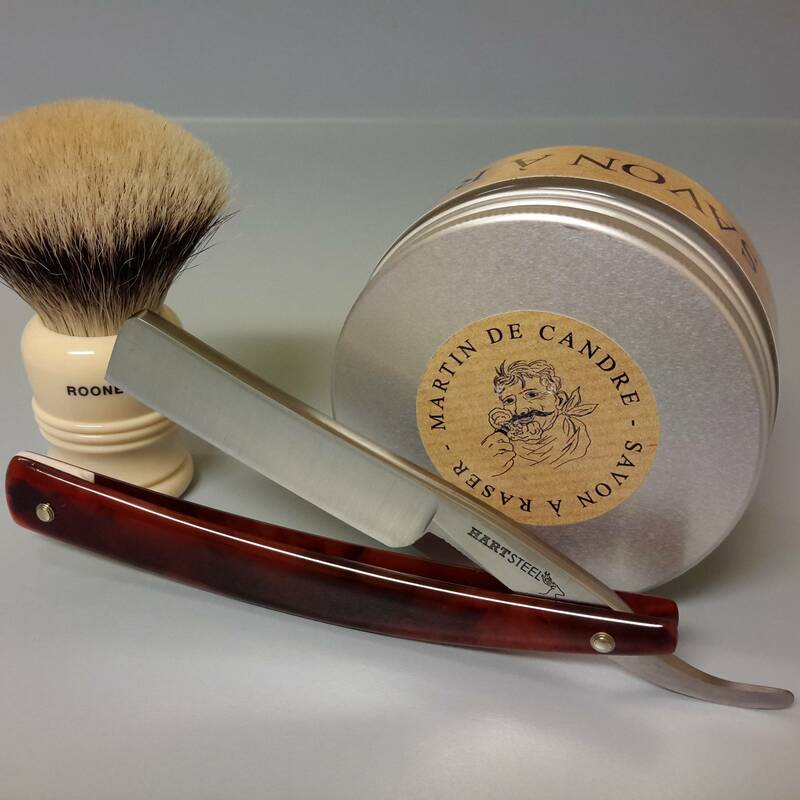 What a great improvement on that razor and the colour of those scales just compliment the blade, beautifully! (01-13-2015, 08:58 PM)celestino Wrote: Wow, Wallace! 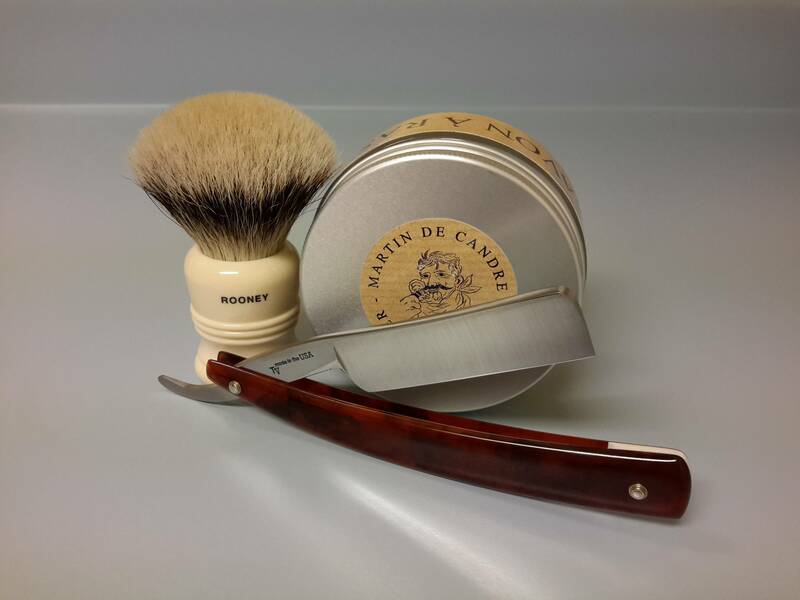 What a great improvement on that razor and the colour of those scales just compliment the blade, beautifully! You definitely are amassing a beautiful collection of straights! Love it... The washers Max did are perfect. (01-16-2015, 03:32 AM)MikekiM Wrote: Love it... The washers Max did are perfect. Wow Wallace!!! That razor is awesome! Max does great work. After your posting of these beautiful scales, I decided to send him a 7/8 Helje with cheap looking plastic scales for new ones. I can't wait to get it back, and am thinking of sending him several razors with great blades but mediocre scales. That is what I have been doing with some of my straights just to give them a better look. Max does a fantastic job and it does not take him very long to get your razor back to you!